This week we're pleased to feature Malaysian author BRIGITTE ROZARIO. She created and wrote the Beebo series of picture books, which we mentioned on this blog some time back. She's also the founder of the Thots n Tots website, which offers all sorts of useful content for parents, from shopping for books to saving money to child-related social issues. You can find out more about Beebo and his happy adventures at his very own Facebook page here. But for now, here's Brigitte to explain why she's so enthusiastic about promoting family values, and also how you can raise your kids to appreciate the joys of reading. Please introduce yourself and what you do. My name is Brigitte Rozario and I'm a journalist in Malaysia. I've been a journalist for the past 24 years. I've covered features, technology and parenting. I'm also a children's book author. I have two books from The Adventures of Beebo & Friends series published. Three more are on the way. I also have a children/parenting website which I just launched this year. It's called Thots n Tots. How did your picture book series, The Adventures Of Beebo & Friends, get started? I wrote the Beebo stories about 20 years ago. At that time, my nephews were toddlers and they were always up to mischief. 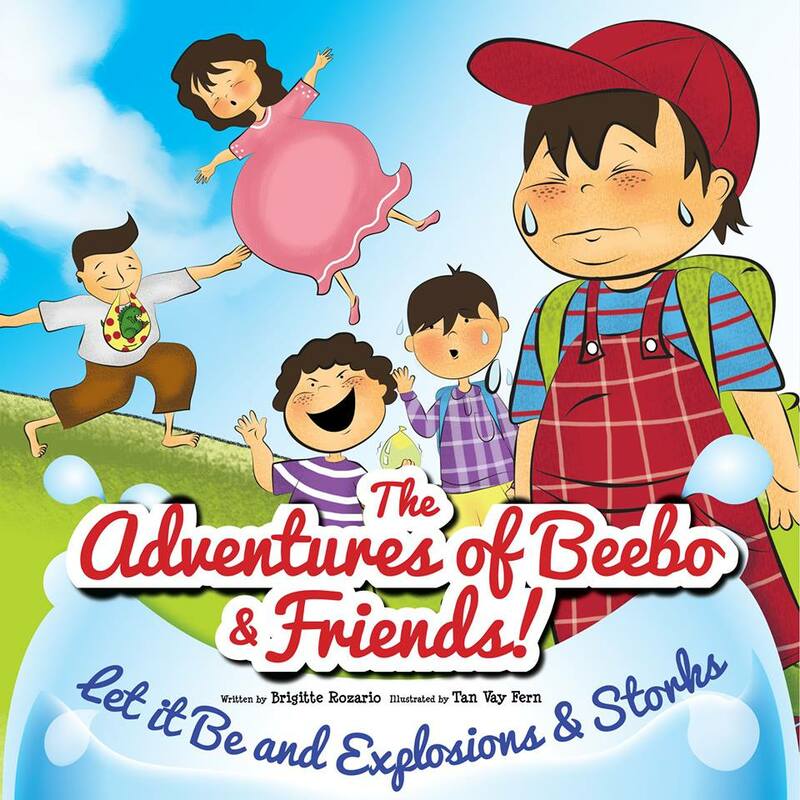 I drew inspiration from them to come up with the stories of Beebo – to share with children the adventures that Beebo and his friends have, while teaching them a few valuable lessons, too. At that time, I had wanted to publish Beebo but publishers were not keen. They wanted more local-themed stories. I then decided to upload the stories to the Web so that children around the world could read the stories and hopefully enjoy them. It was very rewarding to find that even teachers in the US wanted to use the stories as a teaching aid. It wasn't until last year that I thought about approaching publishers again, thanks to the encouragement of a close friend. This time I approached MPH Publishers and they were keen to publish the stories. I was lucky to know illustrator Tan Vay Fern through her previous work, and she agreed to work with MPH and me on this project. The third book in the series should be out in February. This book has an environmental theme and will teach children the effects of cutting down too many trees. Why did you decide to start Thots N Tots? I thought of starting a children's book reviews site last year because there isn't enough exposure for children's books in Malaysia, and I love reading and collecting children's books anyway. But a close friend prompted me to think about developing a children's website instead. Family is everything to me. Plus, I still find myself at children events/activities where I often meet people and see things that are worth writing about and sharing with other parents. So, it seems like a natural choice and something I could do effortlessly in my own time. Any advice for parents, to help their kids enjoy reading? Read with your kids. It's a great way to introduce them to books and also to spend time with them. The first few years are the most important to mould them into readers. When they see you enjoying reading, they will enjoy reading too. Take them book shopping, and to storytelling sessions – this makes books a part of your life. Switch off the TVs, put down the iPads and have reading time at home for everybody! Any advice for kids who want to write their own stories? Just keep writing from the time you have a story in your head. Keep writing, even if nobody else reads your stories. And, keep reading. Reading opens up whole new worlds to you and introduces you to different ideas, words and various ways of telling a story. This will help you become a better writer. Follow Brigitte and Beebo on FACEBOOK.